Please note that our electrical equipment run on 240V power unless otherwise stated. Users in countries that run on 110V power (e.g. US, Japan) will need to purchase their own transformer/adaptor to use the device in their countries. 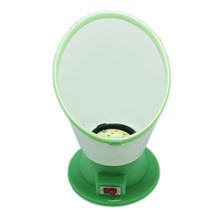 Effective for cytothesis and reducing lump: Red light can stimulate fibrocyte, and improve blood & lymphatic circulating system. The particular wavelength of the red light can convert photoenergy to cellenergy. Stimulating collagen and reducing wrinkle: Regulating matrix metalloproteinase MMPS, preventing ECM degradation and promoting new ECM protein generation, so as to reduce wrinkle. Effecting endocrine: Promoting breast blood circulation, and stimulating prolactin of egg cells, further to effect the enlargement of the fat, and finally make breast firm and plump. 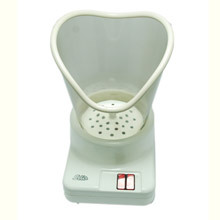 Directions of use: Clean your breast and keep it wet to allow easy transmission of electricity. You can also apply some cream on the breast before use. Use 3-4 times per week. Do not exceed 15 minutes per session and not more than 5 to 7.5 minutes for each breast. If your breast does not feel stimulated, increase the intensity of the electric current and vice versa. A safe and effective face-lifting device that uses a combination of 7 colours of 450-650nm light and BIO micro-current to combat wrinkles. 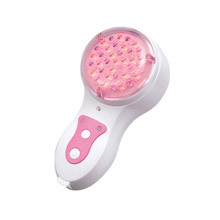 The combination of different color lights helps to improve skin elasticity and texture, defer skin ageing, enhance skin resistance and improve micro-circulation, thus making the skin smooth and lustrous. Directions of use: Clean your face before use. You can use this equipment after cleansing your face or after coating your face with an aqua nutritional solution suitable for your face. 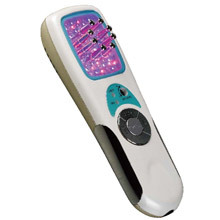 To dispel wrinkles, switch on both the Bio Light and 7 colored lights. Hold the equipment and use it to lift your face from both sides of your jowls. 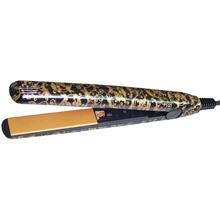 Make sure the eight metal tips remain in contact with your skin. Always pull the equipment upwards and vertical to the direction of the wrinkle. Your wrinkles will reduce and become shallower after about 30 days of consecutive use. 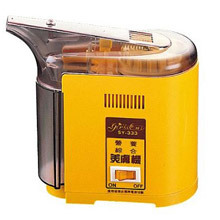 As the BIO electricity is a feeble bio-mimetic current, most people do not feel any sensation when the equipment is in use..
Also, the eight metal tips will heat up gradually when using the equipment. This is normal and you do not need to worry about your skin being scalded. The equipment will auomatically switch off after 10minutes. If you are not done, restart the equipment to complete your routine. 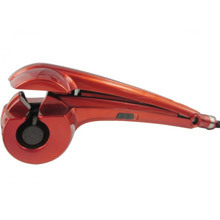 640nm pure red light technical and function: Wave length 640nm pure red light, the simple wave with low power can treatment for the acne with good efficiency. 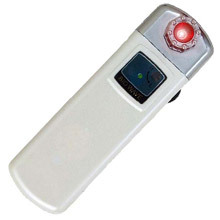 This kind of the pure red light can assort with the cells of the human body in good condition. It can be touch the deep skin lever, supply the energy to cells in good condition..
BIO ( Tiny Electricity) Function: Tiny electricity supply the currency similar as the BIO currency. 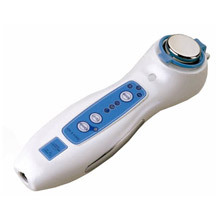 It can offer the energy to cells, have diminishable inflammation function, it is better to remove wrinkle. 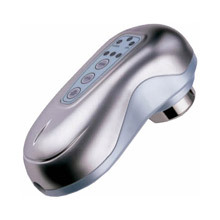 A safe and effective device for face-lifting that uses BIO micro-current and 640nm pure red light to combat wrinkles. 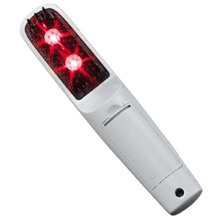 The red light activates cells and improve the absorption of the nutrients. It is appropriate for treating sagging skin, wrinkles and inelasticity. Directions of use: Clean your face before use. You can use this equipment after cleansing your face or after coating your face with an aqua nutritional solution suitable for your face. To dispel wrinkles, hold the equipment and use it to lift your face from both sides of your jowls. Make sure the eight metal tips remain in contact with your skin. Always pull the equipment upwards and vertical to the direction of the wrinkle. Your wrinkles will reduce and become shallower after about 30 days of consecutive use. 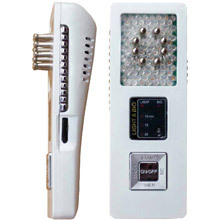 The high precision blue light in the wavelength of 465-470nm combines with BIO micro-current to restore skin, shrink pores and eliminate pimples and acne effectively without any scars or pigmentation. Reduce the pigmentation and whitening. Diminish inflammation and sterilization rapidly. Directions of use: Clean your face before use. You can use this equipment after cleansing your face or after coating your face with an aqua nutritional solution suitable for your face. To dispel acne, hold the equipment and use it to lift your face from both sides of your jowls. 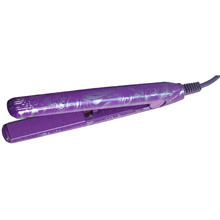 Make sure the eight metal tips remain in contact with your skin. Always pull the equipment upwards and vertical to the direction of the acne. Your acne will reduce and become shallower after about 30 days of consecutive use. Combination of laser and micro-current can promote regeneration of collagen, eliminate eye bags and reduce wrinkles around the eyes. Laser in the length wave of 650nm and micro-current can effectively penetrate epidermis to promote regeneration of collage while accelerating blood circulation and promoting metabolism. 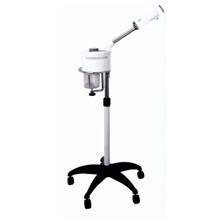 Skin will be elastic and lustrous after using this apparatus for 5~10mins by 1~2 times each week. Crows-feet around the eyes will be obviously reduced and 40-60% crows-feet will vanish with 3 months treatment. 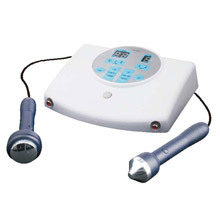 Accelerate blood circulation and promote metabolism: The mini-watt laser can improve blood circulation with the effect up to 40-60% of the skin. Laser can help to promote blood circulation to deliver oxygen and nutrition to subcutaneous tissue to restore functions of the cells. The large volume of mist and strong permeability can emulsify filth quickly to achieve the effect of cleansing, whitening and wrinkle removing. It is appropriate for personal use. Resolve melanin and remove black spot (deeply cleaning): It can promote the blood circulation of the corium to accelerate the speed of venous return metabolite and lymphatic return, exhaust toxins which accumulate in the deep layer of the skin, eliminate aged cell and avoid excessive accmumulation of keratin cells thus ensuring rapid delivery of the moisture and nutrition, enhancing permeability of the cells , strengthening absorption of the product and improving moisture of skin. Meanwhile, the nutrition carried by artery can provide nutrition to corium sufficiently and fully improve the color and texture of the skin, eliminate dark and gloomy and skin whitening. Eliminate wrinkles and skin sagging (slightly massaging): Renew skin elasticity and soften elastin so as to eliminate wrinkles and restore skin elasticity. Shrink pore & skin whitening (nutrition importing): It can accelerate the metabolism of epidermic cells and renew its normal upgrading rate, enhance the shedding of the aged and irregular aberrant cells, soften the keratin, reorder the epidermic cells while restoring the skin elasticity and reverting to a firm, smooth and delicate skin. 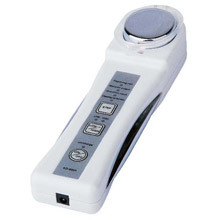 Ion cleansing & whitening beauty apparatus adopts ion release technique which can form a local electric field between the surface and deep layer of the skin to make the ionizing essence or basic solution penetrate the barrier layer and gain access to the deep layer of the skin. Cells can thus absorb the nutrients contained in the essence more effectively. The detoxification function of the ion promotes metabolism, accelerates decomposition of the melanin and softens keratin for bright, luminous skin. Reduce lines and wrinkles. 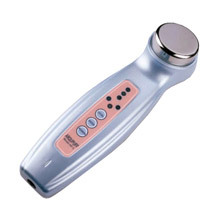 Softens the thrombus, firming skin texture. Regeneration of body cells improve metabolism. 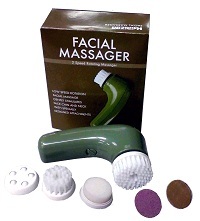 Stimulates blood and lymphatic circulation. Ultrasonic probe can produce an ultrasound vibration at one million cycles per second. This effect is called micro massage, which stimulates the tissues and improves the metabolism of cell membranes. It also leads to the generation of frictional heat. 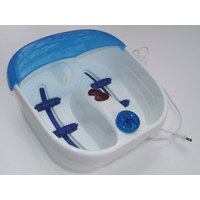 These effects help to promote blood circulation and muscle relaxation during the treatment process. The Positive (absorbption) pole is used: to 1). close the follicles (pores) after the facial treatment. 2). decrease redness in mild acne. 3). To prevent inflammation after comedone and blemish treatment. 4). force acidic PH solutions such as astringent into the skin. The Negative (removal) pole is used to: 1). stimulate the circulation of blood to dry skin. 2). force disincrustation lotion (alkaline PH solution) into the skin. Produces same bioelectricity as the human body to permeate the skin. Vibrations at seventy thousand cycles per second and intermittent contraction help to massage skin, leaving you relaxed & comfortable. The wavelength of Red Motive Light is 625-640nm. 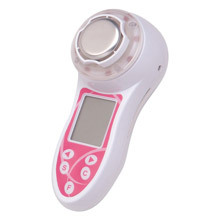 Its main function is to activate cells, producing a new collagen under the skin, and reducing the age spots, wrinkles. It is suitable for sensitive and dry skin. It helps skincare permeate into your skin directly. Micro massage promotes blood circulation, enhances metabolism and reduce lines. 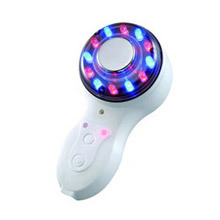 Motive light (red and blue) produces new collagen under the skin. Used in combination, skin recovers faster and looks more healthier. The main function is to activate cells, producing a new collagen under the skin, and reducing age spots and wrinkles at the same time. Suitable for sensitive and dry skin. It is also effective for blood circulation, reduction of age spots and melanin, speeding up the recovery of epidermis cells and increasing the circulation. Effective for blemishes and discoloration. 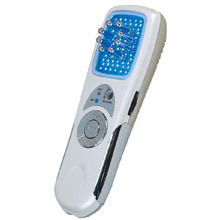 Blue light is effective for active acne. Suitable for sensitive/ acne and oily skin, especially against bacteria causing acne. Reduces acne, blushing and redness by killing bacteria. It can adjust cells immunity, raised skin metabolism. It reduces irritation caused by acne and deep cleanses the skin. Advanced skin care—3,000,000 times high-frequency vibration per second to import maintenance efficacy to deeper skin layer. 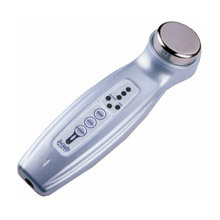 Removes wrinkles, removes melanin, speeds up the absorption of nutrients by up to 3-5 times. The remarkable effect of softening skin, whitening and removing black eye will be visible around 1 week. 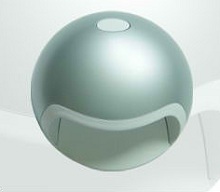 This is the marvelous efficacy of ultrasonic! Wash off the remaining refined liquid essence from your face. The remarkable effect will be visible with one-minute of use -- face cleansing, beauty massage and face sterilisation thoroughly. You will feel refreshed and cleansed as if you had applied a facial mask. It is free of any harmful chemicals and side effect. 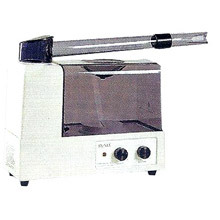 It is the indispensable home use beauty apparatus which available to all kinds of skin. Deep cleansing: With the adoption of natural materials such as water, bubbles, ultrasonic and O3 to achieve the remarkable effect of deep cleansing, massage, beautifying and face sterilisation thoroughly in just one minute. Sterilisation: Bacteria immersed in the skin causes skin problems such as acne, flame, black spots etc. 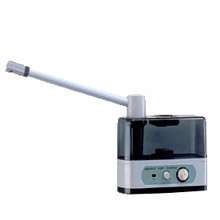 The high concentration of O3 produced by the most advanced Japanese ozone generating device used in this device will dissolve into the water quickly to kill the bacteria instantly so as to prevent these skin diseases and make skin healthy all the time. Massaging & tightening skin: Massage is an essential exercise for keeping skin healthy. This supersonic device can produce strong sonic vibrations and plenty of bubbles to activate the skin cells, bringing amazing feeling and enjoyment. It may not be ultra sonic, but it sure is functional! 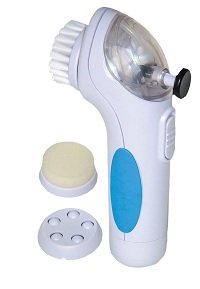 The Hairizon Cosmetic Set is a multi-purpose 6-in-1 facial, body nail appliance - so many functions for the home user! 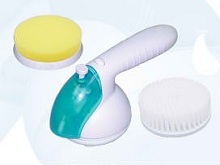 Body brush - intensive and stimulating cleansing of your body. Directions of use: Rinse face with milk & cream and water. Select the direction you wish to use and switch on. Gently move the product around your face and neck in the way described by the arrows. 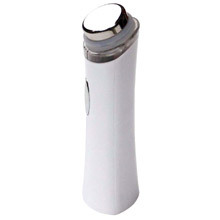 The Pore Cleanser is a hand-held facial appliance that offers effective facial cleansing and gentle exfoliation. The Pore Cleanser has been designed to ensure gentle, accurate cleansing and perfectly follows the contours of the face. The Pore Cleanser helps to remove impurities. Skin blemishes are created when excess oil solidifies in pores. Pore Cleanser uses gentle, deep cleansing suction to remove excess oil in pores before they can become embarrassing. It helps clean pores below the surface to effectively help you maintain a healthy complexion. Directions of use: Use 2-3 times a week for a clear complexion. 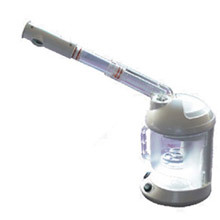 Large attachment for face, small attachment for the nose. 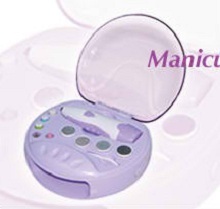 Cuticle Pusher: You can loosen the skin which has grown at the root of the nail. Run the attachment with very slight pressure along the edge of the nail. 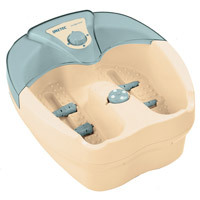 The automatic movement to and from removes the cuticle effortlessly. Round Sapphire Emery: Ideal for removal of corns. Press the emery gently against the corn to be treated. Cone Sapphire Emery: you can remove hard skin as well as grind in-grown corners of nails. the sapphire emery removes only the hard dead skin, but glides over the soft ski without harming it. Warning: Do not touch the surface of the nail. 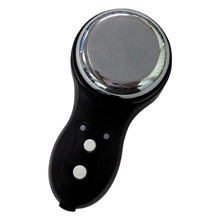 Cuticle Brush: Loosened cutitcle can be brushed awy. The nylon brush also cleans and polishes the entire nail. Sophisticated home professional package, after using, your nails will become beautiful and your skin free from corn and calluses. All tools you need to keep your hands looking impeccable. You can choose the proper one to trim and shape your fingernails or toenails, remove corns, smooth the rough skin and polish and buff rough nail edges. By this package, you will be rewarded with perfect nails and soft skin. 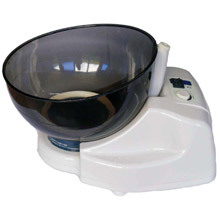 Sharp and Round Cone Grinder: The sharp and round cone grinder has a coarse surface for shaping the fingernails, toenails and tips or acrylics. 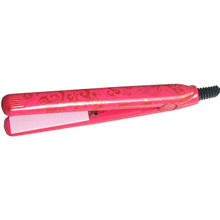 Gently glide it around each nail until you have the desired shape and length. Fine Grain Cone: The Fine Grain Cone has a medium-heavy surface that smoothes calluses and rough skin on the heels and soles of the feet. Also good on the dead skin areas around your toenails and fingernails. Helps shape sides of nails and makes them soft and great looking. Filing (Black) / Fine & Buffering for Nail (Green) / Fine & Filing (Blue): Choose the black, green, blue attachment and switch on the appliance. Place at a right angle on your fingernails or toenails and begin sliding over nails until you feel good. After using, your nails will be fined buffered, and further shaped (First black, and then green, at last blue). 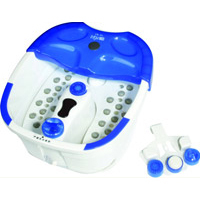 Nail Polishing (White): Use this white polisher to achieve a high-gloss finish of your fingers. Use a light touch and guide it around and across each nail. After shaping, filing, buffering and polishing, soak you fingers in warm water for 2 minutes. Dry and gently push back excess culticle following the crescent of the nail. Metal-coated Rough Skin Remover(coarse) / Metal-coated Rough Skin Remover / Metal-coated Rough Skin Remover(fine): These Skin Remover has a medium-heavy surface that smoothes calluses and rough skin on the heels and soles of your feet. Also good on the dead skin areas around your toenails and fingernails. Helps shape nails sides and makes skin more soft and comfortable, also great looking. Nail Painting: Put your nails on the finger holder and then paint your nails. 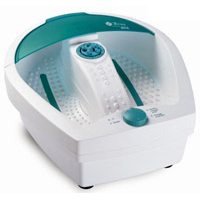 Nail Dryer: Turn the switch to the "ON" position, put your fingers inside the mouth of the nail dryer. A blast blows and dry your nails. Do not put your fingers deep inside because the cooling fan may hurt your nails. Directions of use: Put fingers on the lever inside the mouth of the nail dryer compartment. Air will blow and dry your nails. Do not insert fingers deeply inside the dryer as the cooling fan may damage your nails. 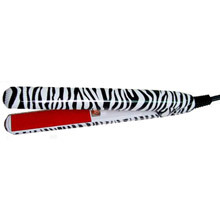 The most convenient and effective hair growth apparatus in the market. Portable and travel friendly. 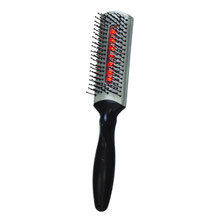 The laser hair growth comb is used for hair and scalp care. The laser of 650nm in wave length can effectively activate the atrophic scalp cells to make its balance its bio-energy and improve metabolism. The scalp and hair follicle tissue will absorb nutritions more sufficiently, promoting the regeneration of hairs. Meanwhile, the laser can promote blood circulation, accelerate the hair follicle tissue's access to nutrition and promote the growth of hair by expediting the hair growth cycle. 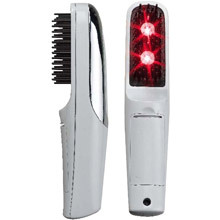 A hair and scalp treatment instrument that stimulates the scalp with low laser of 650nm wavelength and low frequency electricity to help speed up the provision of nutrition to the follicle to activeate blodo cirulation and metabolism. 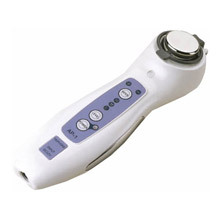 Micro-current mainly massage scalp follicle tissue. 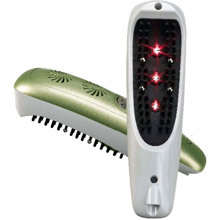 Laser can activate scalp cells. It can improve blood circulation with the effect up to 20~30% of forehead and even as high as 40~60% for the top of head, thus laser can help boosting blood circulation, delivering oxygen and nutrition to hair follicle so as to achieve the efficacy of hair loss prevention. It can effectively stimulate hair follicle to activate 83% of hair follicle in dormant state to active phase so as to achieve the effect of reducing hair loss and re-generating hair. Excess oil secretions is also the reason for baldness and the excess oil secretions is caused by sebaceous gland tumidness and the oil contains DHT which will shrink even atrophy hair follicle so as to lead to baldness. 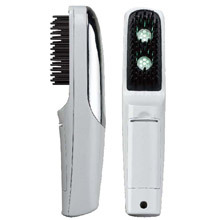 This comb can shrink sebaceous gland, reduce and control oil secretions thus improve baldness. 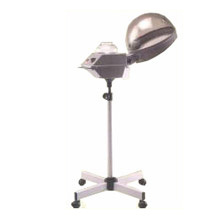 This mini-apparatus can effectively sterilises and keeps the scalp clean using Ozone, preventing dandruff. 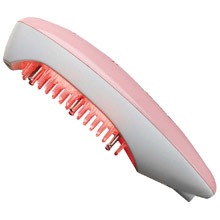 The laser hair growth comb is used for hair and scalp care. The laser of 640nm in wave length can effectively activate the atrophic scalp cells to make its balance its bio-energy and improve metabolism. The scalp and hair follicle tissue will absorb nutritions more sufficiently, promoting the regeneration of hairs. Meanwhile, the laser can promote blood circulation, accelerate the hair follicle tissue's access to nutrition and promote the growth of hair by expediting the hair growth cycle. The soft laser effectively stimulates hair follicle to activate 83% of hair follicle in dormant state to active phase so as to achieve the effect of reducing hair loss and re-generating hair. 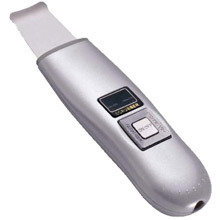 With frequent use, this soft laser can improve blood circulation with the effect up to 20~30% of forehead and even as high as 40~60% for the top of head, thus laser can help boosting blood circulation, delivering oxygen and nutrition to hair follicle so as to achieve the efficacy of hair loss prevention. Regular use of soft laser to irradiate scalp hair follicle can accelerate the growing of hair and strengthen the toughness, density and elasticity of the hair and make the hair black and lustrous. Directions of use: Power on to illuminate LEDs. Gently brush hair from root to tip. 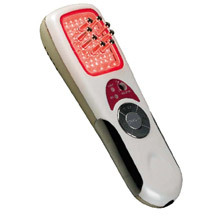 Two modes of treatment: Mode I - Infrared Red; Mod II - Infrared and Vibration. Power off after use. 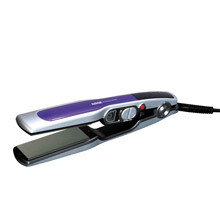 Dual voltage (110-240V), suitable for travel and great for gifting.